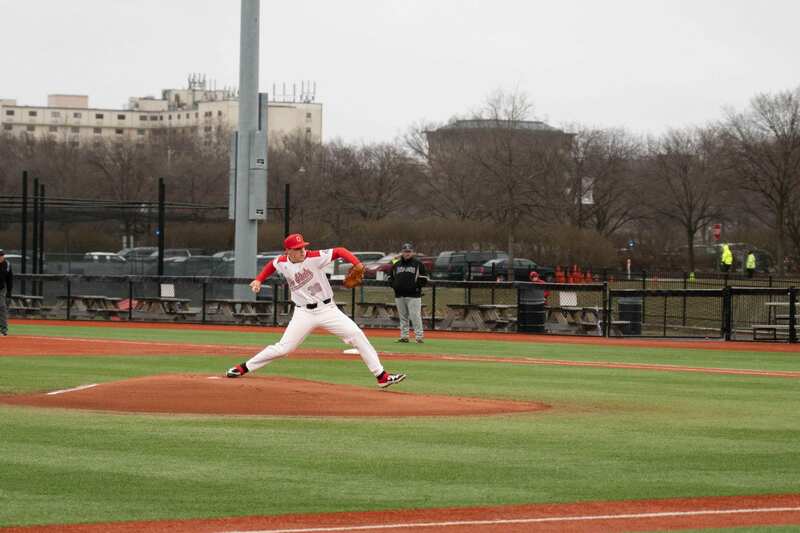 The Ohio State baseball team will take a hot offense up against the solid pitching staff of Hawaii. The Buckeyes (10-10) hope to continue their winning ways at home against the Rainbow Warriors (9-11) in a four-game series starting Thursday. The Buckeyes have won three of their past four games, while Hawaii has lost six of its past seven. In four home games this season, Ohio State has hit .355 with six home runs for an average of 8.5 runs a game. The explosive offense of Ohio State will be tested against a Hawaii squad that boasts several successful pitchers. Redshirt junior pitcher Dylan Thomas has a 1.50 ERA in 24 innings pitched this season. Thomas has thrown 13 innings as a starter, including an 11-strikeout start against Longwood University. Sophomore pitcher Jeremy Wu-Yelland has the most innings pitched for Hawaii. He holds a 4.13 ERA and 24 strikeouts in five starts. The Rainbow Warriors hold a team ERA of 4.20, while averaging 8.35 strikeouts a game. Offensively, Hawaii bats .256 as a team. However, more than 42 percent of the team’s hits come from three starters. The team’s top hitter is freshman outfielder Scotty Scott, who bats .325. Scott has started all 20 games for the Rainbow Warriors and leads the team with five steals on eight attempts. Sophomore first baseman Alex Baeza leads Hawaii with 20 RBIs, as well as four home runs and a .319 batting average. The last of Hawaii’s big three is senior shortstop Maaki Yamazaki. He has a .304 batting average to go with 13 RBIs. The series between Ohio State and Hawaii takes place at Bill Davis Stadium, and will open up with a 5:05 p.m. game on Thursday. This will be followed by a 5:05 p.m. Friday game, a 3:05 p.m. game on Saturday and a 1:05 p.m. finale on Sunday.